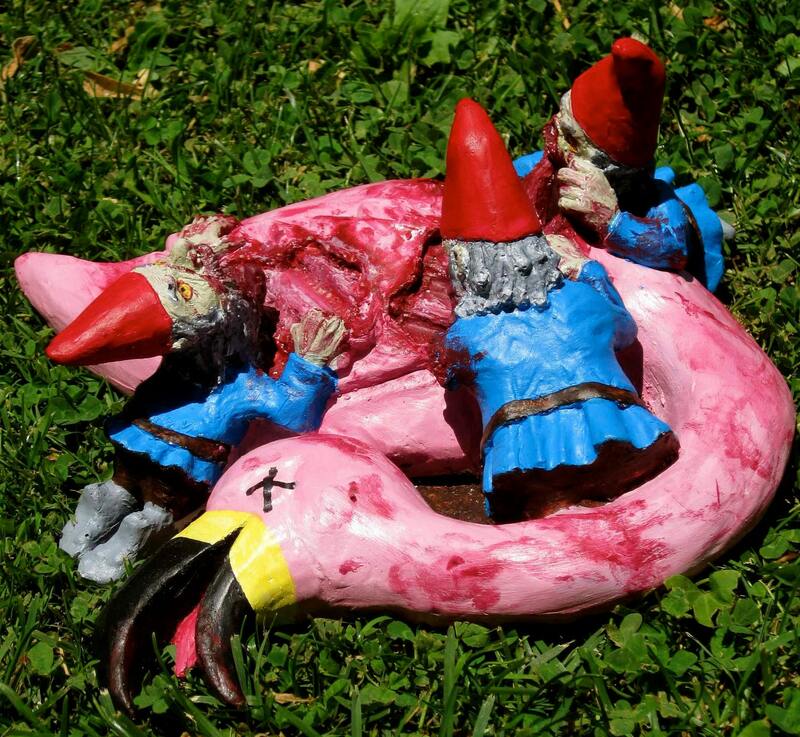 Chris and Jane, of Chris and Jane’s Place, are the creators of a line of Zombie Gnomes. One if my least favorite things about being a grown up is being restrained by boring grown up decorations for the house and home. 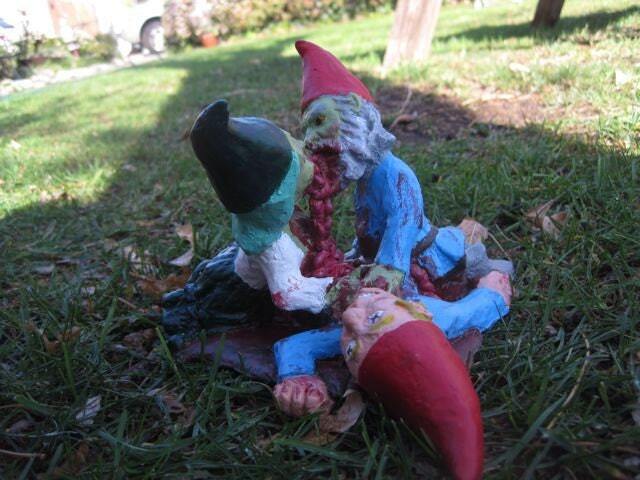 Chris and Jane of Chris and Jane’s Place are working to change that with their line of Zombie Gnomes. 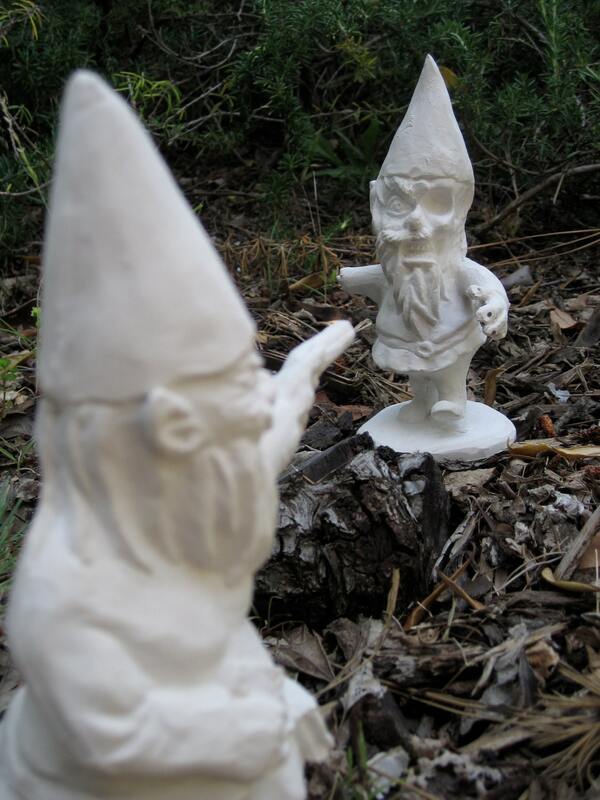 The Zombie Gnomes come painted or blank for a fun craft project. How fun would that be!? Sitting at home during with candles on, chatting about survival plans, maybe playing Munchkin Zombies, and personalizing an undead lawn ornament. Perfect. I had the chance to ask Chris and Jane some questions about them and their business which includes not only Zombie Gnomes but also fancy, hand decorated top hats; Survival Gnomes, and more. 1. Who are you, I mean, really? 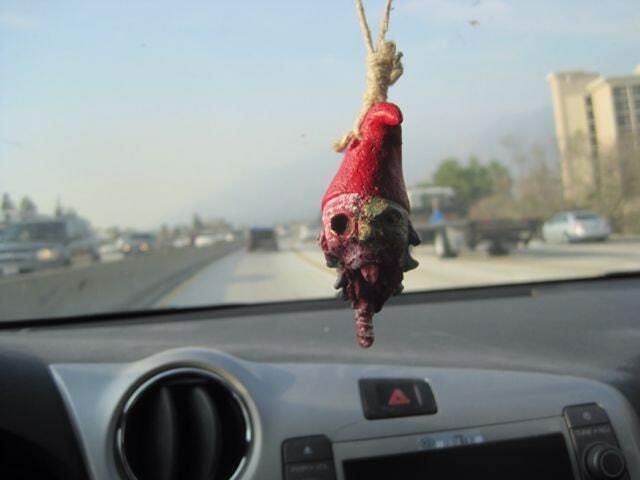 We make Zombie Gnomes along with prosthetics and other special practical effects. Recently Jane loves playing Skyrim every night after work. Chris enjoys playing basketball and going on to espn.com to chat on NBA trade forums. One thing we love doing together is watching Game of Thrones we are halfway through season two. We also like finding new recipes and cooking together, but we haven’t had a lot of time to do that lately because Zombie Gnomes have taken over our lives. 3. When did you first realize you wanted to do that thing? One day Chris was contemplating the inevitable zombie out break and his plan to survive it when he wondered what would happen if the fantasy world was affected by the zombie virus. Zombie garden gnomes was ultimately the conclusion to those thoughts, and after telling Jane we decided to make one for laughs. 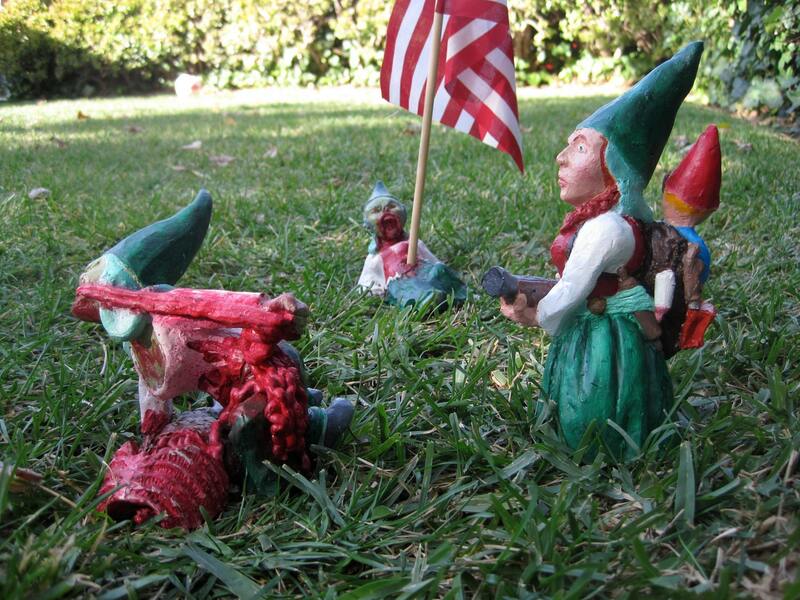 At first we just made Zombie Gnomes as a joke for our friends but when we put them up on etsy and we started selling them we realized we really had something. 4. Where are you from (and how do you feel about that place?)? We are from sunny southern California and we love it here :). We wouldn’t have it any other way. 5. Why would you make a good apocalypse party member? We would be good members of an apocalypse because we know how to grow our own food and we both know, between the two of us, 5 different styles of martial arts. 6. How can we find out more? A huge thanks to Chris and Jane for taking the time to answer our questions and create these wonderful additions to zombie culture! Stasis, by Jason Hite, is an 8 minute stop-motion film based on the idea of a future made of bio-mechanical… something. That’s really the most I could understand form reading the blurb and watching it. But, after reading the blurb and watching it, my imagination is running wild.